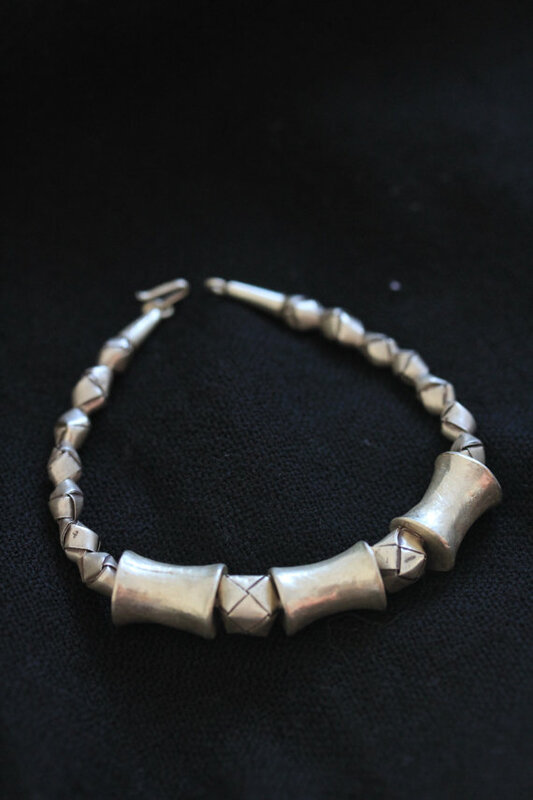 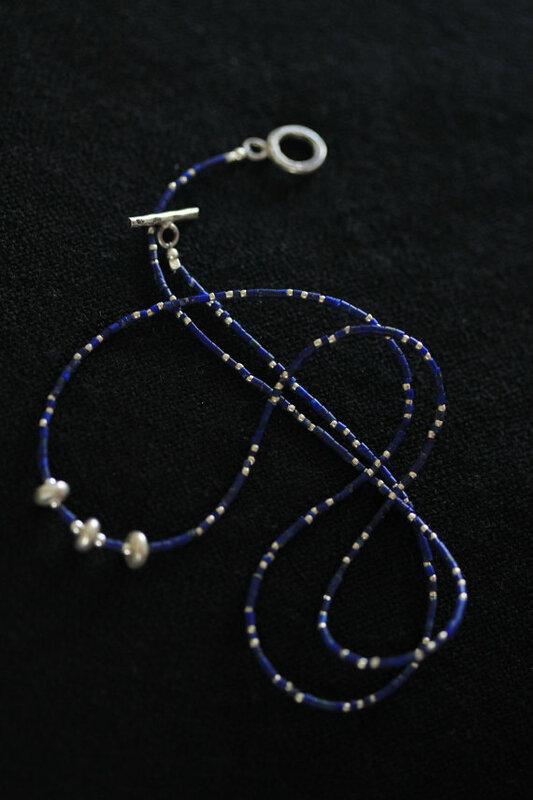 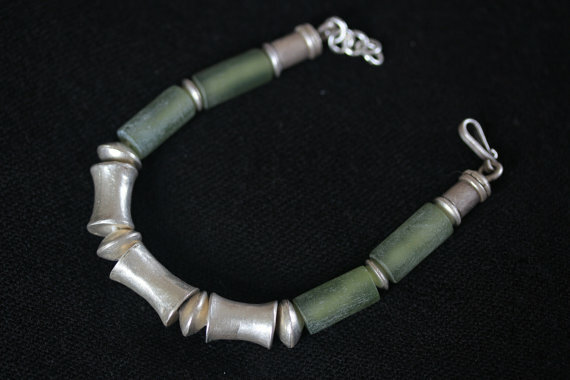 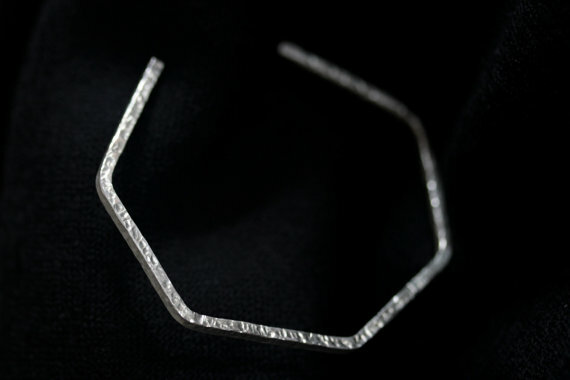 This bracelet is handmade from 3 strings of silver chain that consists of tiny tube-shaped pieces. 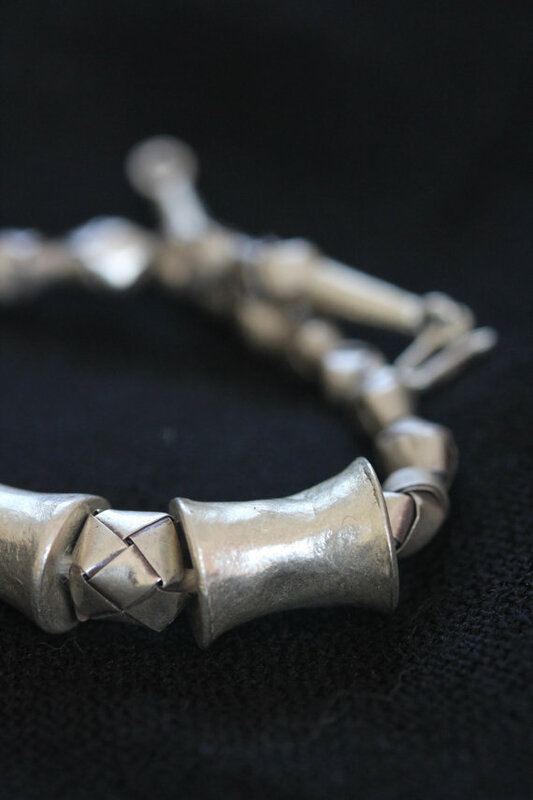 The string in the middle is joined in three handmade woven silver cubes, crafted with traditional silver handcraft techniques, inspired by Thai traditional banana leaf folding pattern. 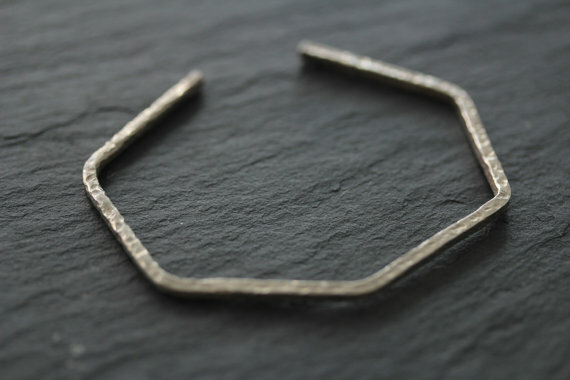 We also have a matching necklace and woven cube stud earrings in our shop.